What they say: From New York Times and USA Today bestselling author Shelley Noble comes a heartrending and uplifting novel about friendship, love, and what we’re willing to sacrifice for our dreams. What I say: Lighthouse Beach is many things. It's sweet, inspirational, happy, sad and fun all at once. Focusing on love and friendship, it tells the story or stories of Jess, Lillo, Allie and Diana, oh and of course a wedding (ish)! We see numerous secrets uncovered along the way, a certain revelation threw me for a loop, whilst others made me smile (not sure what that says about me). I kept asking myself what I'd do if I were in a situation like Lillo, Allie and Diana. I'm not sure I'd manage to put my point across in such spectacular fashion! 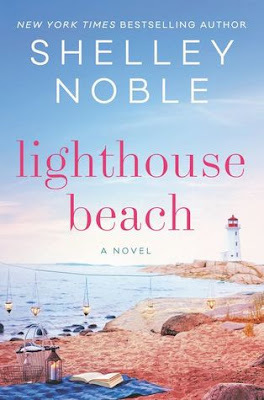 Despite the beginning it has a great holiday read vibe and I'd like to know what happens next on Lighthouse Island.